Antique Russian silver 875 champleve enamel tea glass holder. 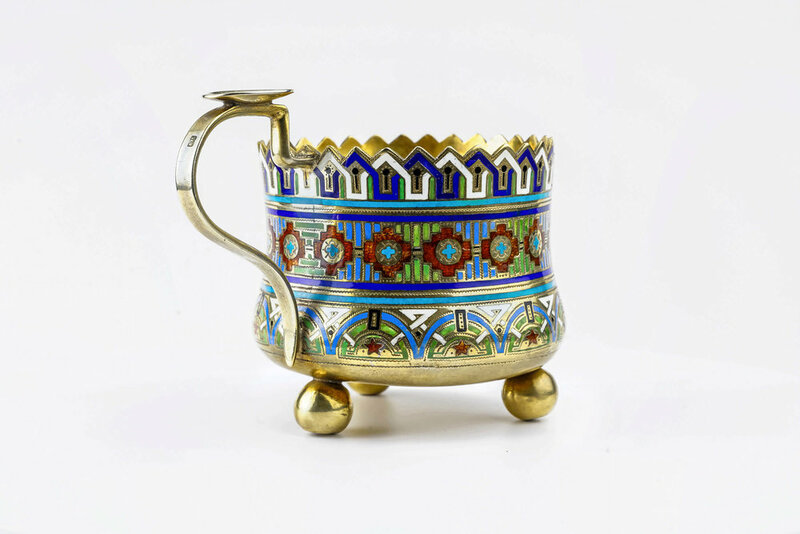 A beautiful antique Russian silver 875 champleve enamel tea glass holder. Height is 3 inches. Weight is 163 grams.